I've been under the weather this week so I wanted to keep this Retail Review on the shorter side. The perfect quick break for me has always been Panini Certified. There are only three packs per blaster and a hit is pretty much guaranteed. It's a great little package for any collector to open up. I've always loved this year's Certified product. It was phenomenal when it came out and still holds up very well today. 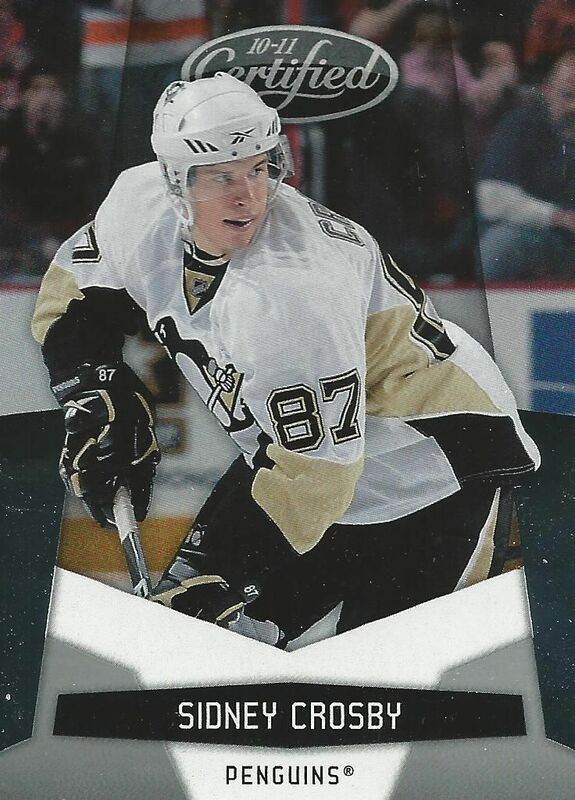 The cards feel as if great care has gone into producing them and the hit structure within the product is top notch. 10/11 Certified cemented itself right away as a stellar product and is still worth considering buying today. If you can get your hands on a blaster, I'd say go and get it! Short and sweet. You could tell which pack had the hit in it. The pack was really taught and thicker than the others. You'll know you have a thin autographed hit if all the packs appear to be the same. It's cool that in Certified two of the three packs contain something. In my case today, it was awesome to get a very limited numbered card along with my hit. Though it was just a jersey card, I have pulled patches out before. You really can get anything in one of these! Still one of the best base cards to get! Sid-the-Kid is one of the best and well-known hockey players of today and will continue to be so for the foreseeable future. It's always good to pull his cards! 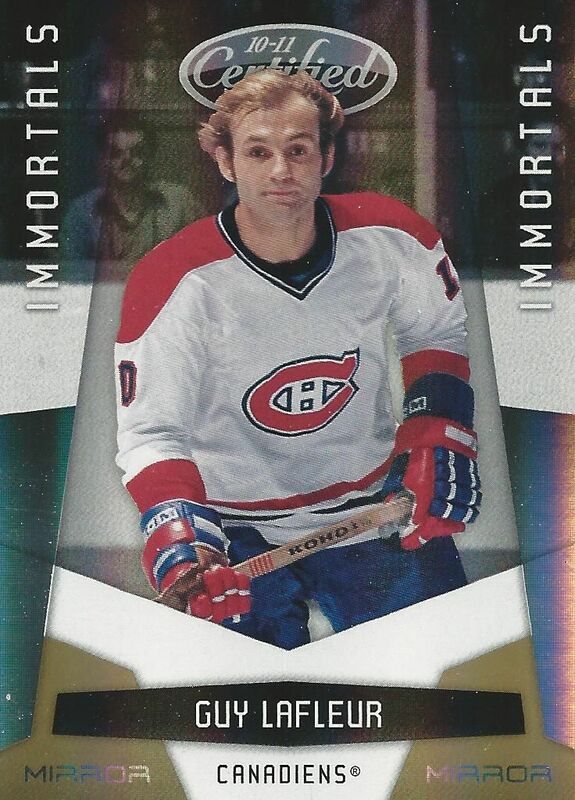 This is the gold version of Lafleur's Immortals card. The golds are limited to just 25 copies each and this particular card is the last one stamped... 25/25. I don't place a premium on that, but some people actually do. 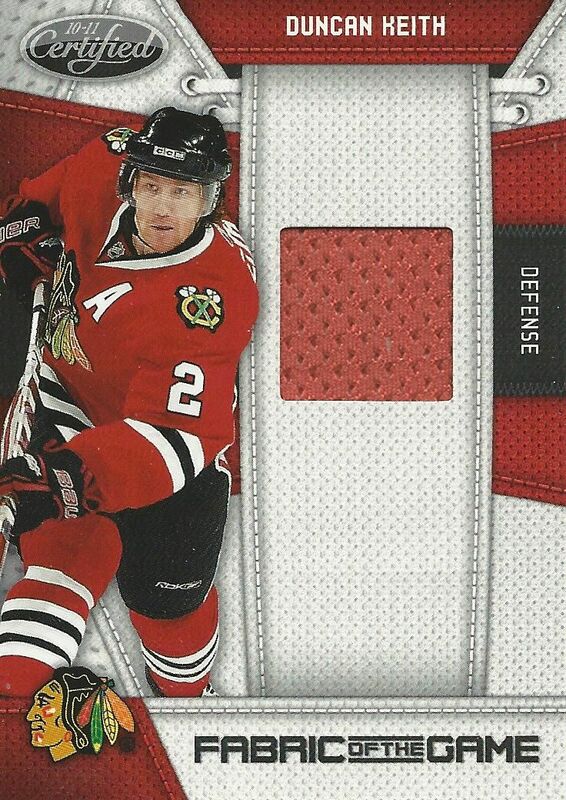 Fabric of the Game inserts are popular as they are a very comprehensive set of cards. It's cool to get a very good player from the set. This particular one is numbered to just 250. 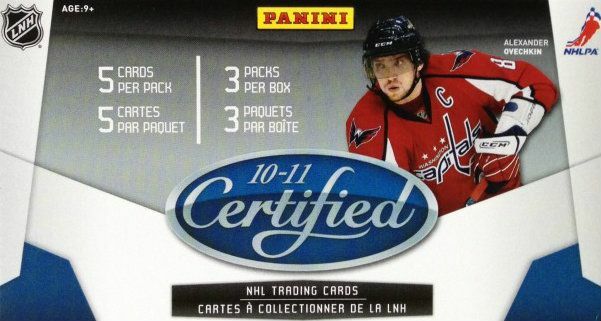 Just as I can count on Artifacts blasters being bad, I can count on a solid blaster of Certified each and every time. If I could, I'd just opened up one of these every week and enjoy the hits that come out of them! Certified is a great product and I can't wait to open up some more of it.